SiN Episodes: Emergence paid for its own development, but not much more. I haven’t been covering the progress of episodic games, mainly because they are only loosely related to Steam itself. The purchase of Ritual Entertainment by casual games developer MumboJumbo however, and the subsequent shelving of the SiN Episodes series, comes amid increasingly noticeable industry whispers that Valve’s episodic efforts are returning only lukewarm sales figures. The episodic debate has been very much re-opened as a result, widened further by yet another Half-Life 2: Episode Two delay. What’s gone — and going — wrong? Genres that depend on characters more than locations are more likely to succeed in episodic gaming … I think traditional adventure games, with the same core cast but a new mystery to face, are a great example [of that] … Compare [adventure] to a genre where the customer is looking for the new ‘ooh and ahh’ factor. That genre is going to be harder to develop episodes in because of what the customer is looking for. 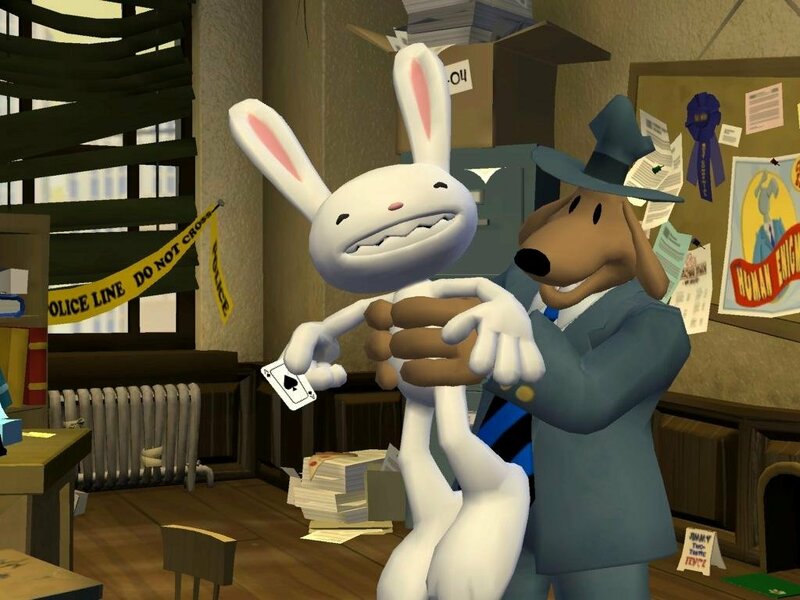 Sam & Max is the episodic success story. Indeed the strain of creating content-heavy games like the SiN and Half-Life 2 episodes was one of the biggest issues of contention when Valve first announced their new strategy. It wasn’t lost to the players or pundits that a developer and genre both known for piling delays on top of already protracted development cycles probably wouldn’t be the best candidates for producing content to a a “TV-like” schedule. Valve’s episodic development has cut back on both the delays and the base development time of course, but not nearly enough to offset the new customer expectations that have come along for the ride. Every one of Half-Life 2: Episode Two ‘s slips (taking it from Christmas 2006 to Autumn 2007) have been accompanied at some level by the derision of episodic games, the fact that we wouldn’t have anything to deride at all yet if it weren’t for the episodic model be damned. Gamers on the street, virtual and physical, simply don’t care that it’s their game’s release cycle giving them a better-produced product, or improving its developers’ quality of life, or even allowing its studio to afford to take the sort of risks that the industry at large shies away from. All their perspective allows them to see in episodic gaming is the promise of a more regular feed of cheaper entertainment: precisely what Valve, Ritual, and the FPS genre itself haven’t been able to provide. It is generally agreed in the media industry that while a film is fronted by a director who takes “artistic control and credit” for his vision, a TV series’ success lies in the hands of its writers. Ritual “put a lot of emphasis on creating memorable characters”; Half-Life 2: Episode One ‘s story is noticeably denser; most of the Old Man Murray team are now a part Valve’s writing staff — but both studios also remain (or remained) locked into producing content-heavy games that can’t (or couldn’t) afford to fly on plot alone. Telltale on the other hand have been able to invest heavily in their writing. Each of their bimonthly Sam & Max Season 1 adventure games start in the same building, include the same set of core characters, and, most important of all, have a content-light, stylised cartoon appearance. 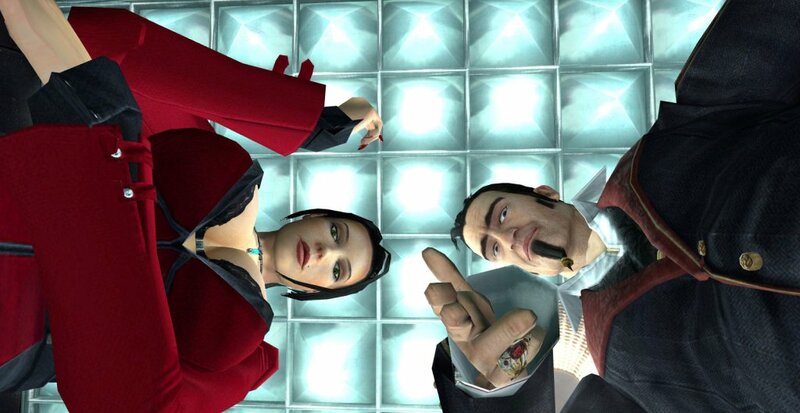 It’s hard to avoid the conclusion that the episodes’ critical success has been a result almost solely of their characterisation, gameplay narrative, and stories. Before we form any conclusions, it’s important to remember that Telltale are in an astonishingly strong position. They are able to capitalise on their huge advantages with little overhead or competition, selling direct to a pre-installed fanbase — and yet their episodes are still a long way from receiving the same level of recognition as their adventure-genre peers. Sam & Max is surely a profitable venture, come as far as it has, but how would a less lightweight series fare on its current sales? While Valve and Ritual’s episodes have under-represented episodic development, Telltale’s paint a considerably brighter picture than can be relied on. The actual level of sustainability in today’s market is clearly somewhere between the two — though precisely where, I don’t think anyone can yet say. Episodic development can save amateur mods from an organisational meltdown. On the fringes of the known games industry, one form of episodic game that can claim complete success. Amateur mod teams, including those behind Counter-Strike , Garry’s Mod , and many of the other most successful names, have long made use of short release cycles to both better hold their projects together and entice earlier player feedback. The methodology isn’t often described as episodic (the term being tied to narratives for a start), but it’s unmistakably the same concept. Release fast and often. Needless to say, modding is quite distinct from retail. Gamers are far more forgiving of delays when there isn’t a set and promised date to anticipate, and even more so when they know that they won’t be expected to pay anything but respects when a release finally comes. It’s no surprise that even when episodic mods like MINERVA and NightFall see delays of the same proportion as Valve’s, frustration may be evident among the fans but outright criticism is rare. Perhaps the generally more industry-aware nature of the mod playing audience is behind the difference in attitude too, but it’s a distinction well worth noting all the same. The bridge between these retail and mod worlds, blurring the line between the two, is Steam. Garry’s Mod , The Ship , Alien Swarm , Natural Selection , Dystopia and Red Orchestra are all at different stages along the process of moving between the two, and of course there’s the original triplet of Counter-Strike , Day of Defeat and Team Fortress . The list will only grow as more independent developers realise the power of this emerging route to market. Even if Valve’s efforts toward creating episodic games don’t work out, with Steam and their encouragement of iterative mod development they’ve more than laid the foundation for others to carry on their work. Those modders and independent developers will inevitably create a stable market for the episodically-developed AAA titles that aren’t quite possible today…by which time they will perhaps come out when they ought! I totally agree on your opinion – what’s the point of episodic gaming if the ETAs aren’t met? 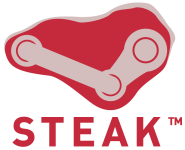 But then again – it’s valve we’re talking about. They may take time at doing what they do – but they do it like no other. I agree, the episodic content for episode 1 & 2 was a complete failure. Valve seems too bogged down in making larger things like portal, and team fortress 2 to go along with the episodes to make it work properly. Adding these games that you might as well just buy over steam only makes the release date farther and farther away, which really ruins the point of episodes. Put a LOT of focus on episodes, like a LOT. Make them come out fast. A year wait, is MUCH too long. Make them come out every six months, at most. Stop packaging things in with the episodes, it seems like one of the huge things slowing the episodes down is portal and TF2. Just let us buy it over steam for god’s sake, and release the episode alone, cheaper! In my view, the whole point of episodes is to keep us interested in the story, in small bits. Heck, you would probably make a lot of money just releasing one chapter every month or so on steam for $5. the release dates for these episodic games honestly doesn’t bother me too much – all that matters to ME is that their content/visuals/storyline is GREAT (as HL2’s always has been). What would be SWEET, is some sort of system, where MODDERS become the EPISODIC CONTENT generators. We all have seen the explositivity of Garry’s Mod, now all that needs to be done is combining THAT type of authorship, with the ability to produce of a storyline/visual effect that can be quickly taken to market. 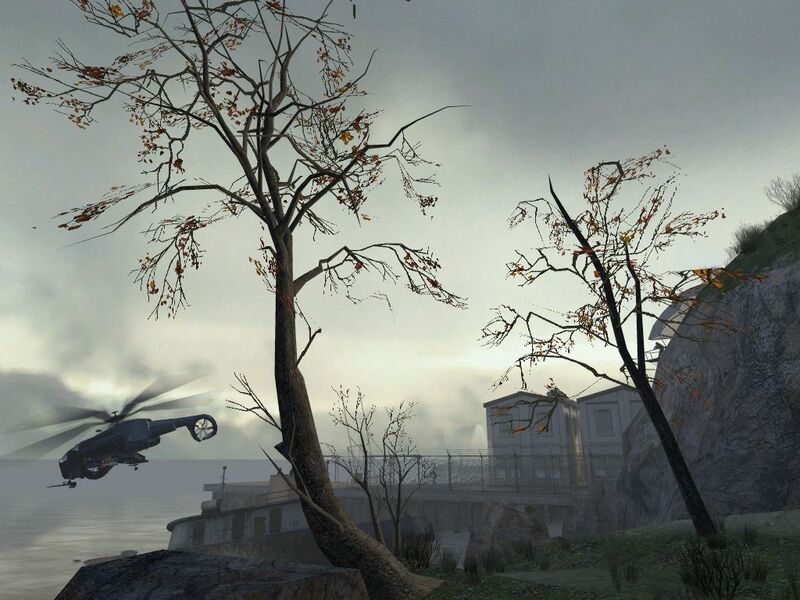 Modders would COMPETE to produce Episodic content, and the top storylines could be combined and quickly published. That is how these episodic games *could* be done, if what we’re looking for is fast, orignal, not to mention, user-driven content. How dare you call Garry an amateur! DIE HEATHEN!